As noted in my last “flash” post, a divided three-judge Fed. Cir. 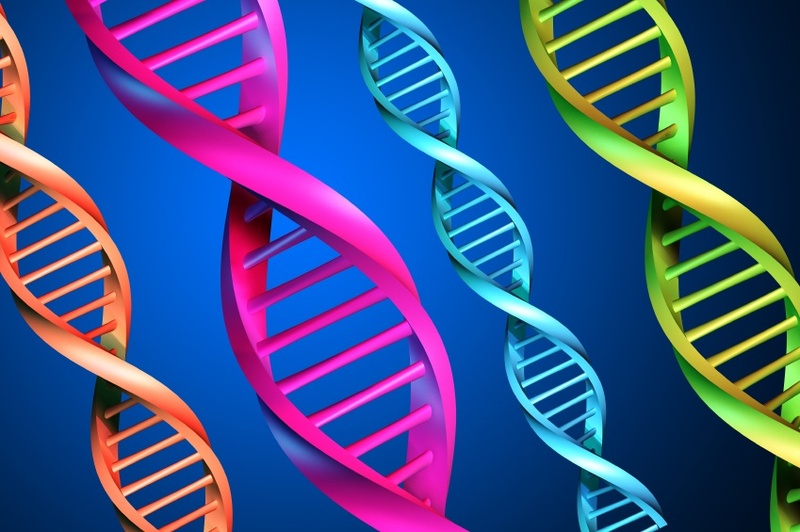 panel (Judges Lourie, Bryson and Moore) issued an opinion holding that the isolated DNA sequences and the drug-screening method claimed by Myriad are patentable subject matter, not natural phenomena, while affirming that the diagnostic method claims which only involve “comparing” or “analyzing” DNA sequences fail the M&T test and are no more than abstract ideas. The one hundred-plus pages of opinion spent only about five pages on the “diagnostic” method claims. Since I previously commented on their vulnerability following both Bilski and the proposed PTO Guidelines, I will not offer much analysis here, except to note that Judge Lourie took care to distinguish the transformative elements of the claims at issue in the Prometheus decision from the minimalist Myriad method claims. See slip op. at 52-53. See, e.g. my post of Oct. 29, 2010 on the Myriad method claims. Judge Bryson also faults the majority for creating a purification rule, wherein “[i]solated atoms are not patent eligible, but isolated molecules are.” Slip op. at 8-9. I should have started this comment with Judge Lourie’s majority opinion on the isolated DNA molecules, which he does not begin until page 37. 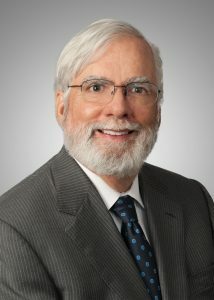 (Standing and DJ standards occupy the first pages of the opinion, and I have been informed that Harry Ostrer, the only plaintiff found to have standing, has filed a letter with the court saying, in fact, that he is still willing, ready and able to run the BRCA assays in his new position.) As he indicated he might during oral arguments, Judge Lourie, a chemist, put great weight on the fact that covalent bonds are broken at both ends of an isolated DNA sequence when it is removed from the genome, and this point was ably emphasized and amplified by Judge Moore. In the majority opinion, as stated by Judge Lourie: “[W]e conclude that the challenged claims are drawn to patentable subject matter because the claims cover molecules that are markedly different—have a distinctive chemical identity and nature—from molecules that exist in nature…It is undisputed that Myriad’s claimed isolated DNA molecules exist in a distinctive chemical form…from native DNA.” Slip op. at 41. “Isolated DNA is not purified DNA…when cleaved, an isolated DNA molecule is not a purified form of a natural material, but a distinct chemical entity.” Lourie also notes that natural or novel DNA sequences can be chemically synthesized from scratch, that require no isolation from nature. Slip. op. at 44. At page 7 of his opinion, Judge Bryson disparages the majority’s emphasis on the importance of breaking covalent (e.g. CH=CH) bonds, arguing that “there is no magic to a chemical bond that requires us to recognize a new product when a chemical bond is created or broken, but not when other atomic or molecular forces are altered [e.g., hydrogen bonds or ionic “bonds”].” Judge Lourie addresses this directly at page 44, writing: “But a covalent bond is the defining boundary between one molecular species and another…The covalent bonds in this case separate one species from another.” Judge Moore, at pages 9-11 of her opinion, goes so far as to draw out the structure of the oligomer ATCGCT and compare it to the structure of an isolated subunit, the T-C dimer: “Instead of being connected to many thousands of additional nucleotides at the 3’ and 5’ ends of the sequence in question, as is the case in the chromosome, the isolated DNA molecules terminate in, for example, a hydroxyl and a phosphate group, respectively.” Pretty impressive for an E.E.! 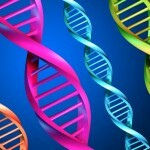 “We disagree, as it is the distinctive nature of DNA molecules as isolated compositions of matter that determines their patents eligibility rather than their physiological use or benefit…patent eligibility of an isolated DNA is not negated because it has similar informational properties to [the chromosomal DNA] that encompasses it….We recognize that biologists may think of molecules in terms of their uses, but genes are in fact materials having a chemical nature and, as such, are best described in patents by their structures rather than their functions.” Slip op. at 44-45. Footnote 19, which accompanies this quote, is particularly informative. In it, Judge Moore notes that the PTO granted a patent on vancomycin, an antibiotic produced by a soil bacterium and later granted a patent on a vancomycin subunit formed by removing a sugar unit. She concludes that this subject matter “is highly analogous to isolated DNA. In each case, the claimed molecule is a smaller fragment of a naturally occurring molecule, with some naturally occurring functionality removed.” (Ed. Note: I have made this analogy using aspirin split into salicylic acid and acetic acid, both useful subunits in my post of April 8, 2010). Judge Moore spends little more time on the requirement that isolated DNA have a novel utility, but grounds her holding primarily on the “settled expectations of the biotechnology industry,” “more than a century of precedent and Patent Office Practice” and the failure of Congress to go beyond banning patents on human organisms. She extensively criticizes the Government’s “magic microscope test”: “Although the powers of the magic microscope are not entirely clear, it appears that patents to smaller fragments of naturally occurring molecules, for example claims to truncated proteins…would also be unpatentable” ( Slip op. at 25; Ed. Note: see fn. 19, above). She rightly worries that adoption of the Government’s position would destroy a wide range of existing property rights “based on a judge made exception to [the broad language of Chakrabarty, that] allowed additional patents where none previously existed.” (Slip. op. at 26.) In short, Judge Moore declines this invitation to be a judicial activist: “Judicial restraint is particularly important here because an entire industry developed in the decades since the Patent office first granted patents to isolated DNA.” Slip. op. at 27. Well said, but by now, is Judge Moore writing for the parties or for the Nine? This entry was posted in Patent Eligible Subject Matter and tagged ACLU, biotechnology, biotechnology law, biotechnology news, DNA, Federal Circuit, intellectual property, ip, Myriad, Myriad lawsuit, Patent Law, patents, Pharmaceutical law, USPTO, Warren Woessner. Bookmark the permalink.